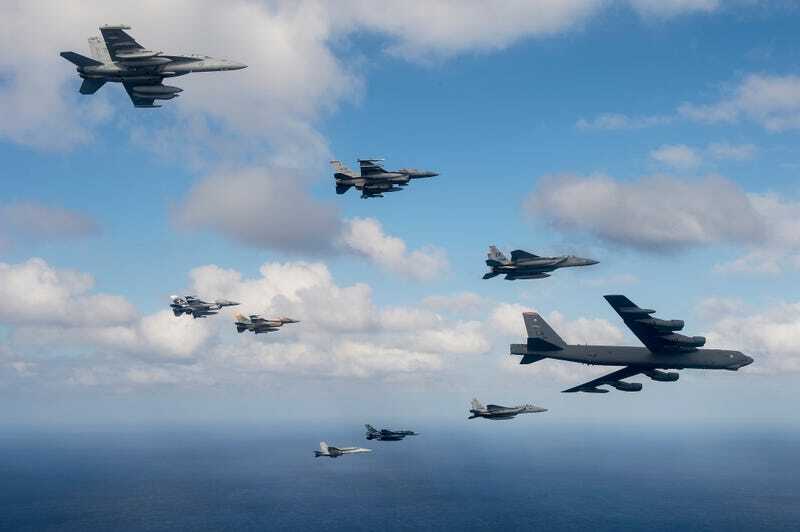 Looking at this picture it is hard to believe that the United States and Australia were in a bloody no quarter war against Japan only 70 years ago: Spot the Mitsubishi F-2 escorting a Boeing B-52 Stratofortress, the direct heir of the Boeing B-29 Superfortress bombers that obliterated Hiroshima and Nagasaki. This is the Mitsubishi F-2, a fighter built by Mitsubishi and Lockheed Martin based on the General Dynamics F-16 Fighting Falcon. Just seven decades ago, when Mitsubishi was making airplanes like the Mitsubishi A6M Zero to destroy Allies' naval and air forces, nobody could have imagined that the Japanese would be using an American design and fly along American jets.